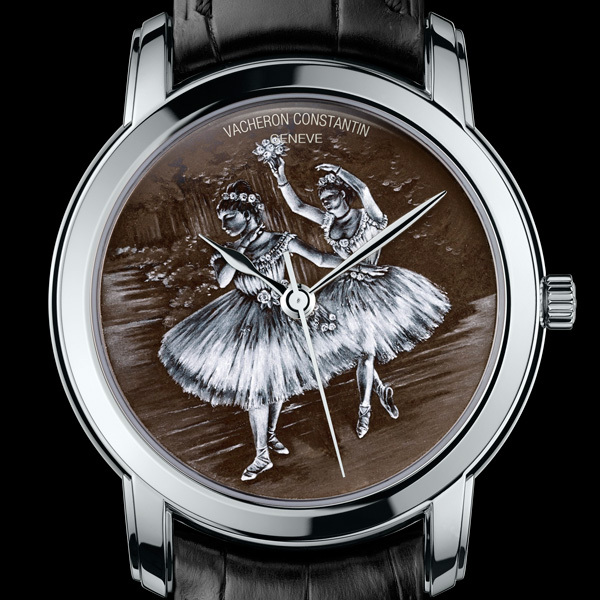 Vacheron Constantin unveils three new one-of-a-kind additions to its Métiers d’Art Hommage à l’Art de la Danse collection, based on the highlights of a ballerina’s daily life: learning, training and performance. 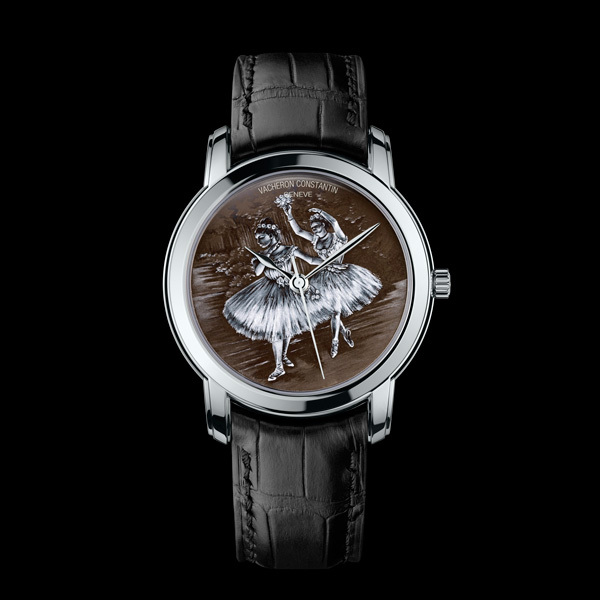 These creations from the workshops of the Manufacture revisit the ancestral art of Grand Feu grisaille enamelling to highlight the art of classical ballet by reinterpreting the works of Edgar Degas. These three new one-of-a-kind models will be given an exclusive presentation at the New York City Ballet on May 8th 2014. Ballet and opera are both worlds in which the choreography of a work is always transcended by the talents and sensibilities of all those involved. In horology as in ballet, the art of combining precision, renewal and wonderment is based on perfect technical and aesthetic mastery. But above and beyond knowledge, each accomplishment is driven by a human story brimming with encounters and with faithfully perpetuated and shared skills. 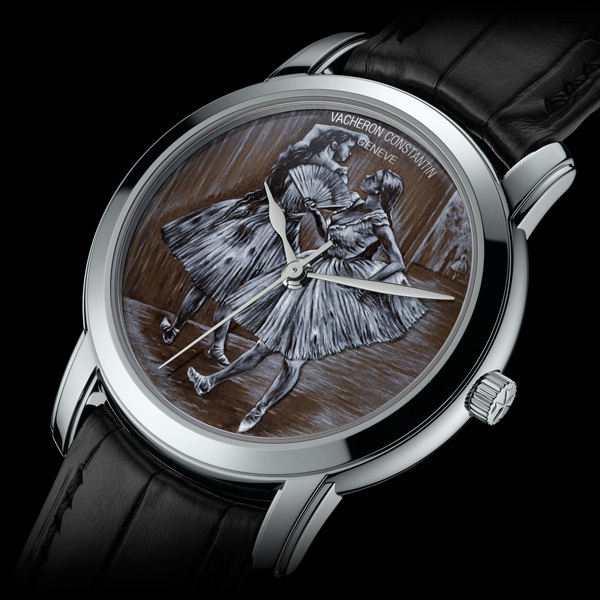 These three new Métiers d’Art Hommage à l’Art de la Danse watches crystallise the magic and the subtly alchemy between complementary arts: that of the ballerina, that of the enameller, and that of the watchmaker. Within a white gold frame, Degas’ beloved ballerinas glide gracefully beneath the ever-dancing hands. The master enamel artist drew inspiration from three more paintings by the master and represent three new highlights in the life of a ballerina: dance school with Dancers Practicing at the Barre, dated 1877 and on show in the Metropolitan Museum of Art (New York, USA); the backstage of a dress rehearsal with Dancers near a Set, dated 1888 and belonging to a private collection; and the pinnacle of a ballerina’s life with Two Dancers Entering the Stage, painted circa 1877-1878 and exhibited at the Fogg Art Museum (Cambridge, USA). The finesse of Grand Feu grisaille enamel painting reveals the slightest details of the protagonists: the tiniest fold of the tutus, the smooth velvet of the ribbons encircling their neck, the transparency of tulle and muslin… Entirely in the manner of Degas, the Vacheron Constantin master enamel artist reinterprets the exact moment, the gestures, the pose and the perspective, playing on chiaroscuro light and shade effects to anchor the scene firmly in reality. Whereas grisaille enamelling is generally applied to black enamel, the House artisan decided to work with a translucent brown enamel base serving to accentuate the depth effect while lending a soft nuance to the painting. After applying this base, the enameller adds touches of Limoges white enamel that is then drawn out using needles, extremely fine brushes and even cactus thorns so as to create graded shades and play on the various pigments. 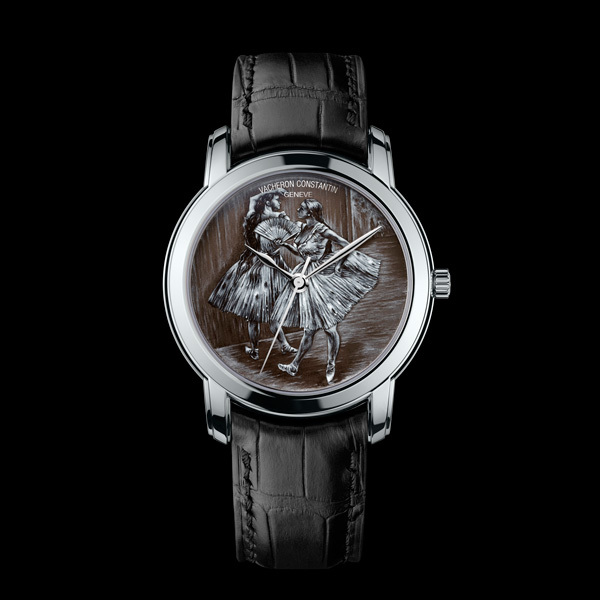 The Métiers d’Art Hommage à l’Art de la Danse watches bear the prestigious Poinçon de Genève (Hallmark of Geneva), the ultimate token of Haute Horlogerie testifying to the quality, craftsmanship and reliability of an exceptional timepiece produced in Genevan territory. 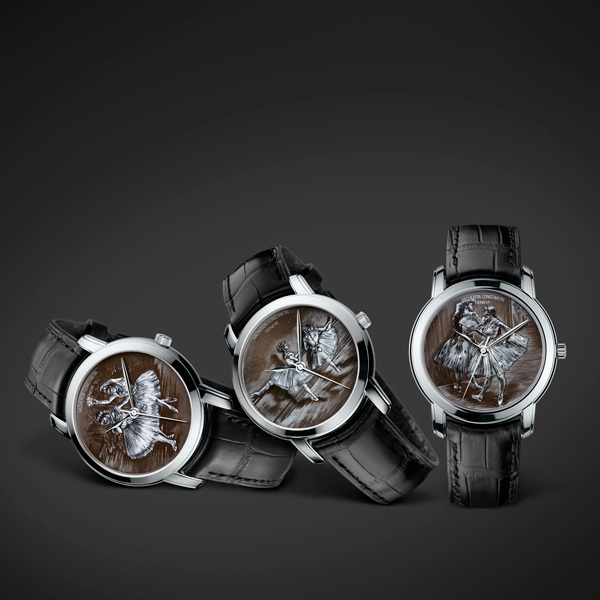 One-of-a-kind creations, with “N°1/1” and “ Hommage à l’Art de la Danse” inscriptions engraved on the back of the three watches. Available in Vacheron Constantin boutiques. Supplied with a magnifying glass and a dedicated brochure illustrating the various skills and techniques involved in this creation.